﻿ How to Enrich C-Suite Information for existing CRM Accounts? C-Suite executives often change companies. It is an opportunity for you to re-engage them and maintain a relationship. LeadGrabber MF ensures that you have the latest data for your existing Accounts. Input the list of companies you have done business in the past and Management Finder adds the updated list of management executives along with their contact information. 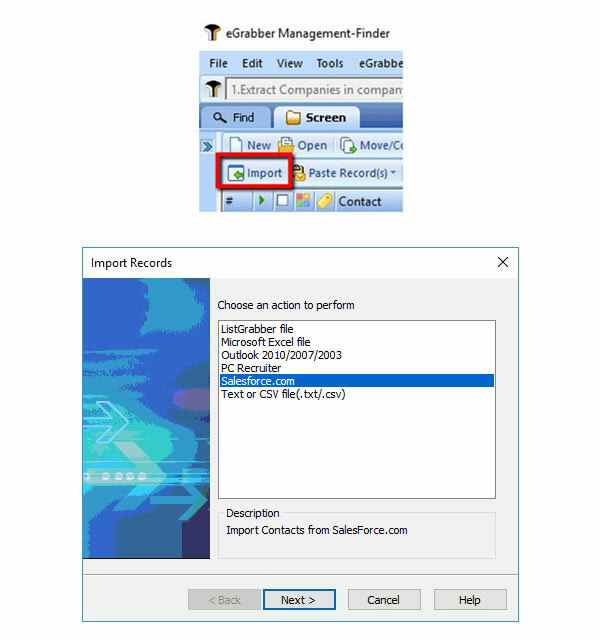 Step 1: Click on “Import” button on the LeadGrabber MF grid toolbar, select the Salesforce, follow the instructions and click Finish. You can also import Accounts lists from other CRM’s by simply exporting them into a CSV file and import to LeadGrabber MF. The list of companies is now imported into the grid. Step 2: Select "*Append C-Level Management-Finder from Company" option from the C-Level Management Finder drop-down and click on the relevant decision maker title. Example: CTO / EQ. LeadGrabber MF finds CTO’s in those Accounts by performing deep search in various places. 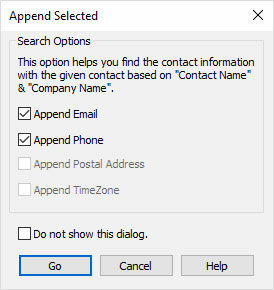 Step 3: To find business email ID and phone numbers of CTO’s, select the records in the grid and click ‘Append Select’ option under Append Contact info dropdown. Step 4: LeadGrabber MF instantly finds and displays the decision makers’ business contact information such as verified business email address and phone number.